Almost two years ago to the day, a pair of Worcester County employees were filling potholes on Greenbackville Road in Stockton when they were struck by a car. Despite complaining to a doctor days earlier about cataracts so severe "it was like driving through a cloud" and quitting his job as a delivery driver because it was unsafe, then-60-year-old Marion Jones got behind the wheel on Feb. 22, 2016, Interim Worcester State's Attorney Bill McDermott said during testimony before a General Assembly committee. 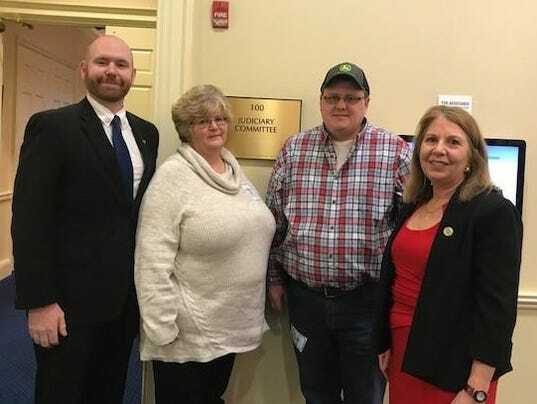 Delegate Mary Beth Carozza, R-38C, has introduced legislation to allow the dice game of bunco to be included with already legalized home games such as mahjong where one is allowed to wager with certain restrictions. House Bill 581 was heard before the House Ways and Means Committee Wednesday afternoon.